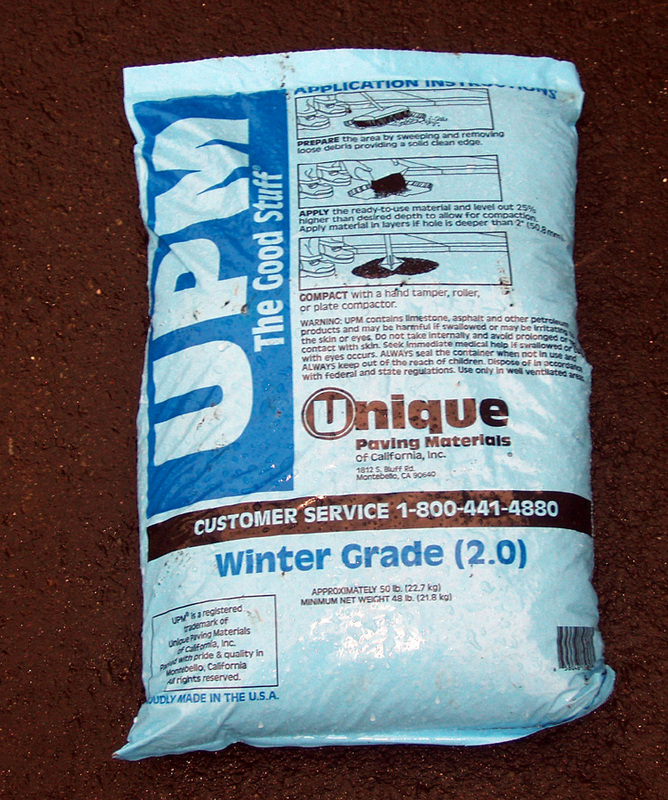 UPM Permanent Pavement Repair Material | Alpine Products, Inc.
UPM Permanent Pavement Repair Material is the high-performance asphalt patching material that is easily applied any time of the year, under any weather conditions. UPM has been tested and refined to the point where it is now the worldwide standard. Over 90% of all patches using UPM outlast the surrounding pavement, and Unique Paving Materials Corporation guarantees it in writing. HIGH PERFORMANCE = COST EFFECTIVENESS UPM saves time and money. Since 90% of all holes patched with UPM never need patching again, money is not poured into the same holes repeatedly! EASY APPLICATION: UPM is quick and easy to apply, with no special or expensive equiptment required. Just sweep the area to be repaired, removing loose debris. Shovel or pour UPM into the hole. Compact the patch and it’s ready for traffic.